Ceol Abú Second Class Pupils Book. 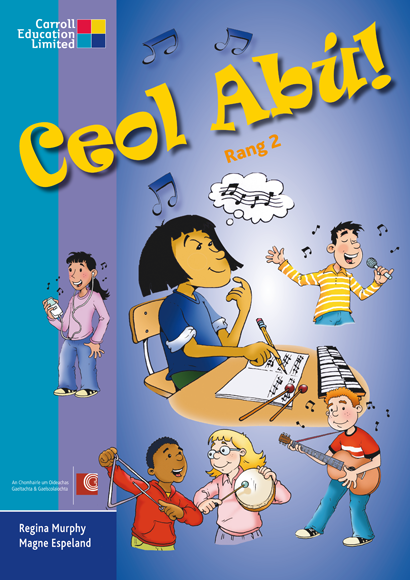 The Ceol Abú series is a holistic approach to the three music strands of the revised music curriculum: listening and responding, performing and composing. Child centred and focused, Ceol Ab will retain your children's interest and attention for the duration of the music lesson. Ceol Abú is easy to use with any class and includes a wide selection of Irish and world music representing a huge range of music genres and styles including rock, pop, jazz, classical, traditional and contemporary and features mnay of Ireland's leading artistes. The Teacher's Resource Book contains detailed lesson notes and plans, track listings, photocopiable masters and additional activities for extension and enrichment. The teacher's CD includes complete music pieces, songs, extracts and backing tracks.